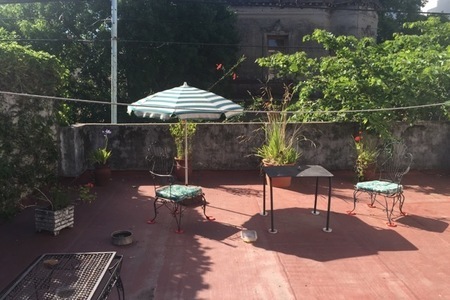 At this rental home, in the heart of Palermo Soho, you will be amongst the action day and night in one of the trendiest areas of Buenos Aires. This area is known for it’s designer boutiques, world class shopping and for it’s thriving nightlife and restaurants by evening. 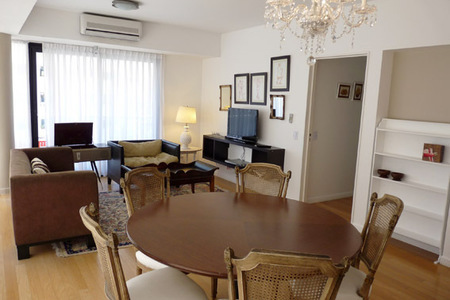 Stay in the area that everyone else travels to when they come to Buenos Aires! Palermo Viejo is one of the oldest areas in the city and the traditional Milonga (tango dance hall) opposite is testament to the ability of the old to fit in with the new. Character abounds at this house of over 3,100 SF (300 m2), including 2,100 SF (200 m2) of living space and the remainder wonderful private terraces, including a small private terrace off the master bedroom, perfect for sunning yourself when you first rise. Original features abound from the French doors and windows, to the stained glass lead windows and exposed brickwork and ironmongery. 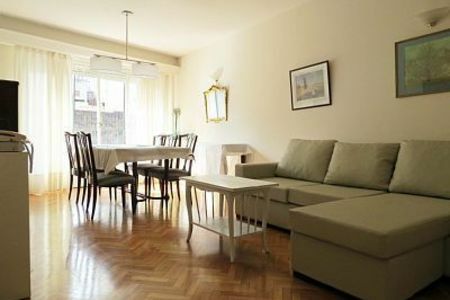 Extensive modernization ensures that all the comforts of home are present. 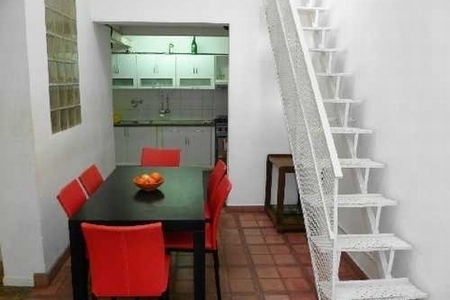 The property comprises 3 full size bedrooms, 2 bathrooms, fully equipped kitchen, breakfast bar, dining room with lounge area and fireplace, lounge with Plasma TV, work area suitable for 3-4 persons, private master bedroom terrace, main floor terrace complete with Parilla (BBQ) and upper terrace affording views of Palermo Viejo. Amenities include, wireless broadband internet, Direct TV, DVD, HiFi system, all utilities including A/C. A driver can be arranged for airport pick up and drop off to make your arrival comfortable. 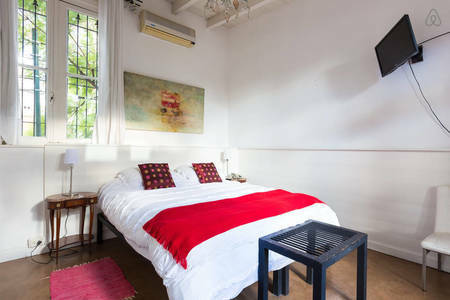 The 3 bedrooms, all have queen sized Simmons Beauty Rest beds furnished with soft accents and plenty of storage space. The master bedroom on the top level is a special room complete with enormous walk-in closet to cater for the most extensive clothing and shoe collections! 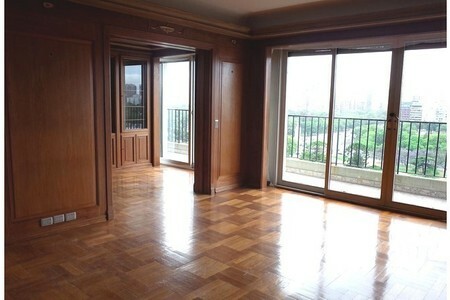 Two bedrooms can be converted from queens into 2 singles each for flexibility. There are 2 spacious en-suite bathrooms including double basins and double shower in the master bedroom, each with original detailing giving a sense of the history of the property and the area. The property sleeps 6 comfortably and is large enough to afford individual privacy when there is a need, however there are several lovely indoor and outdoor areas for gathering and entertaining. A modern kitchen with full sized American fridge and modern appliances will provide everything you will need to entertain or simply prepare breakfast before heading to sample the incredible food at the local eateries. 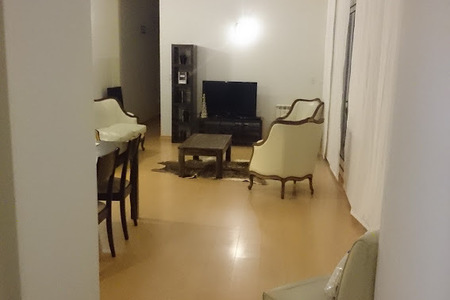 A work area where computers for a couple of people can operate makes this property a perfect medium or long-term rental for a temporary assignment in the city. The property has proved popular for film and productions crews. 1,100 SF of private outdoor living makes this a unique property to enjoy the summer sun or cook outdoor on the ubiquitous parilla. A hand crafted dining table from local timber complete with benches provide plenty of seating for outdoor entertaining and enjoying balmy summer evenings. 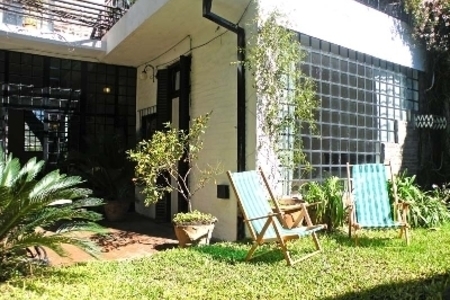 A truly fantastic blend of old and modern, indoor and outdoor living and cozy yet spacious living in one of the most sought after areas in Buenos Aires. 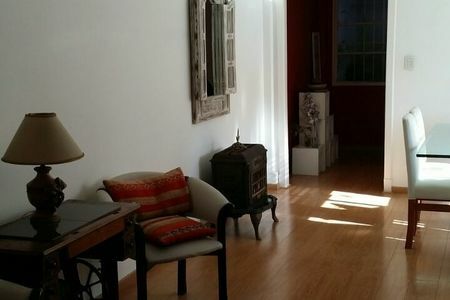 We are sure your time at this special property will form a memorable part of your stay in Argentina.